- Moyano M, Porteros A, Dowling JE (2013). The effects of nicotine on cone and rod b-wave responses in larval zebrafish. Vis Neurosci. 28:1-5. - Hysi PG, Young TL, Mackey DA, Andrew T, Fernández-Medarde A, Solouki AM, Hewitt AW, Macgregor S, Vingerling JR, Li YJ, Ikram MK, Fai LY, Sham PC, Manyes L, Porteros A, Lopes MC, Carbonaro F, Fahy SJ, Martin NG, van Duijn CM, Spector TD, Rahi JS, Santos E, Klaver CC, Hammond CJ. (2010). A genome-wide association study for myopia and refractive error identifies a susceptibility locus at 15q25. Nat Genet.;42(10):902-905. Reportaje en USAL TV. 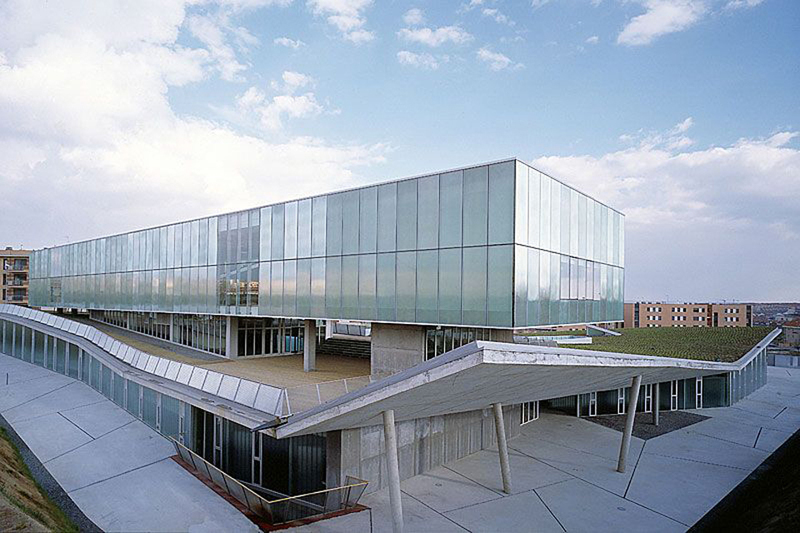 - Fernández-Medarde A, Barhoum R, Riquelme R, Porteros A, Núñez A, de Luis A, de Las Rivas J, de la Villa P, Varela-Nieto I, Santos E. (2009). RasGRF1 disruption causes retinal photoreception defects and associated transcriptomic alterations. J Neurochem. 110(2):641-652. - Porteros, A., Gómez, C., Valero, J., Calvo-Baltanás, F., and Alonso, JR. (2007). Chemical organization of the macaque monkey olfactory bulb: III. Distribution of cholinergic markers. J. Comp. Neurol., 501(6):854-865. - Fernández-Medarde, A., Porteros, A., Rivas, J., Núñez, A., Fuster, J.J., and Santos, E. (2007). Laser microdissection and microarray analysis of the hippocampus of GRF1 knockout mice reveals gene expression changes affecting signal transduction pathways related to memory and learning. Neuroscience, 146(1):272-285. - Arenzana, F.J., Carvan, M.J.III, Aijón, J., Sánchez-González, R., Arévalo, R. and Porteros, A. (2006). Teratogenic effects of ethanol exposure on zebrafish visual system development. Neurotoxicol. Teratol., 28(3):342-348. - Arenzana, F.J., Arévalo, R., Sánchez-González, R., Clemente D., Aijón, J., and Porteros, A. (2006). Tyrosine hydroxylase immunoreactivity in the developing visual pathway of the zebrafish. Anat. Embryol., 211(4):323-334. - Fernández-Medarde, A., Esteban, L.M., Núñez, A., Porteros, A., Tessarollo, E. and Santos, E. (2002). Targeted disruption of Ras-Grf2 shows its dispensability for mouse growth and development. Mol. Cell. Biol., 22(8):2498–2504. - Suzuki, W.A. and Porteros, A. (2002). Distribution of calbindin D-28k in the entorhinal, perirhinal and parahippocampal cortices of the macaque monkey. J. Comp. Neurol., 451:392-412. - Porteros, A., García-Isidoro, M., Barrallo, A., González-Sarmiento, R. and Rodríguez, R.E. (1999). 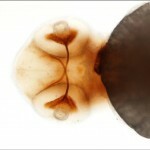 Expression of ZFOR1, a delta opioid receptor, in the central nervous system of the zebrafish (Danio rerio). J. Comp. Neurol. 412(3): 429-438 (1999). - Barrallo, A., González-Sarmiento, R., García-Isidoro, M., Cidad, P., Porteros, A. and Rodríguez, R.E. (1999). 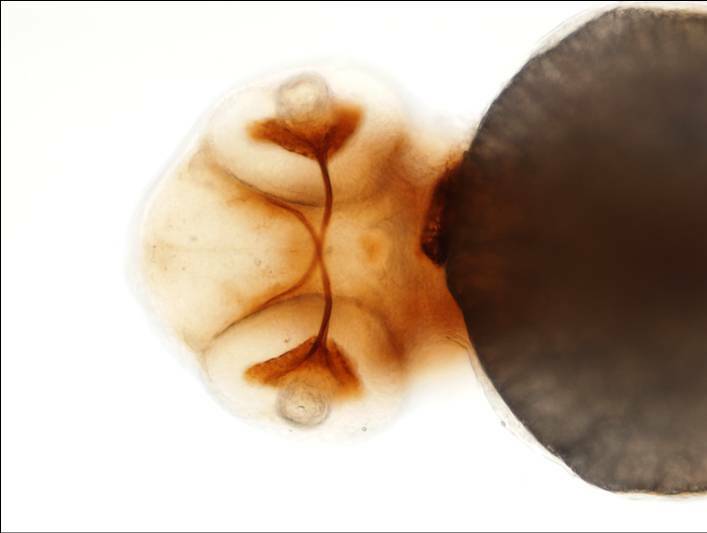 Differential brain expression of a new beta-actin gene from zebrafish (Danio rerio).Eur. J. Neurosci. 11 (1) : 369-372. - Alonso, J.R., Porteros, A., Crespo, C., Arévalo, R., Briñón, J.G., Weruaga, E., and Aijón, J. (1998). Chemical anatomy of the macaque monkey olfactory bulb. NADPH-diaphorase/nitric oxide synthase activity.J. Comp. Neurol. 402 (3) : 419-434. - Porteros, A., Crespo, C., Briñón, J.G., Arévalo, R., Aijón, J. and Alonso, J.R. (1998). Transient expression of calretinin in the rainbow trout habenulo-interpeduncular system during development. Neurosci. Lett., 254: 9-12. - Porteros, A., Arévalo, R., Briñón, J.G., Crespo, C, Aijón, J and Alonso, J.R. (1998). Parvalbumin immunoreactivity during the development of the cerebellum of the rainbow trout. Dev. Brain Res. : 109: 221-227. - Porteros, A., Arévalo, R., Briñón, J.G., Weruaga, E., Crespo, C., Alonso, J.R. and Aijón, J. (1997). Calretinin imunorreactivity in the developing olfactory system of the rainbow trout. Dev. Brain Res., 110: 101-109. - Porteros, A., Briñón, J.G., Crespo, C.,Okazaki, K., Hidaka, H., Aijón, J. and Alonso, J. (1996). Neurocalcin immunoreactivity in the rat accessory olfactory bulb. Brain Res., 729: 82-89. - Porteros, A., Arévalo, R., Crespo, C., Briñón, J.G., Weruaga, E., Aijón, J. and Alonso, J.R. (1996). Nitric oxide synthase in the olfactory bulb of anuran and urodele amphibians. Brain Res., 724: 67-72. - Porteros, A., Arévalo, R., Crespo, C., Briñón, J.G., Aijón, J., and Alonso, J.R. (1995). Calbindin D-28k immunoreactivity in the rat accessory olfactory bulb. Brain Res., 689 (1): 93-100. - Porteros, A., Alonso, J.R., Arévalo, R., García-Ojeda, E., Crespo, C. and Aijón, J. (1994). Histochemical localization of NADPH-diaphorase in the rat accessory olfactory bulb. Chem. Senses, 19(5): 413-424.